College is expensive, but there are many ways to lighten the financial burden. No worthwhile education is cheap, and we're dedicated to ensuring every dollar is spent in a way that helps our students succeed. We'll guide you through the process and help you squeeze the most out of every penny. In order to apply for financial aid, complete the Free Application for Federal Student Aid (FAFSA). 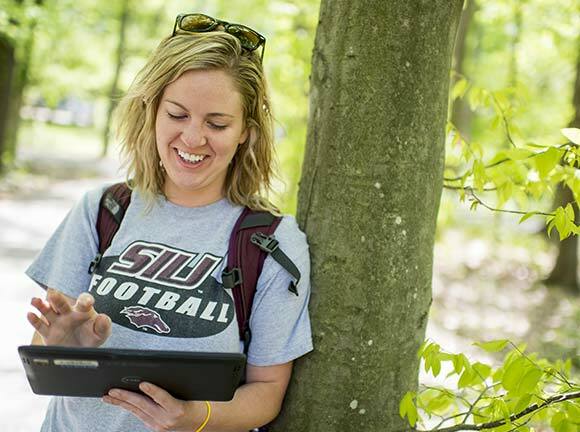 SIU awards more than $15 million ($4 million to new students) in undergraduate scholarships each year. More than 1,000 incoming students are awarded scholarships each year through the Academic Scholarship Office. The university employs about 4,000 students on campus each year. Those students earn more than $8 million. We have more than 1,200 graduate assistantships.